You’re not born Wonder Woman, you become it. 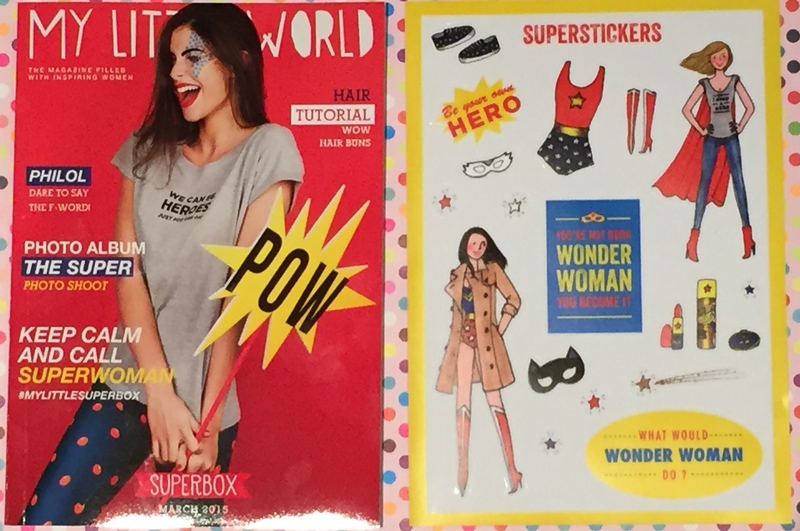 This month’s My Little Box screams Girl Power and is appropriately titled My Little Super Box. 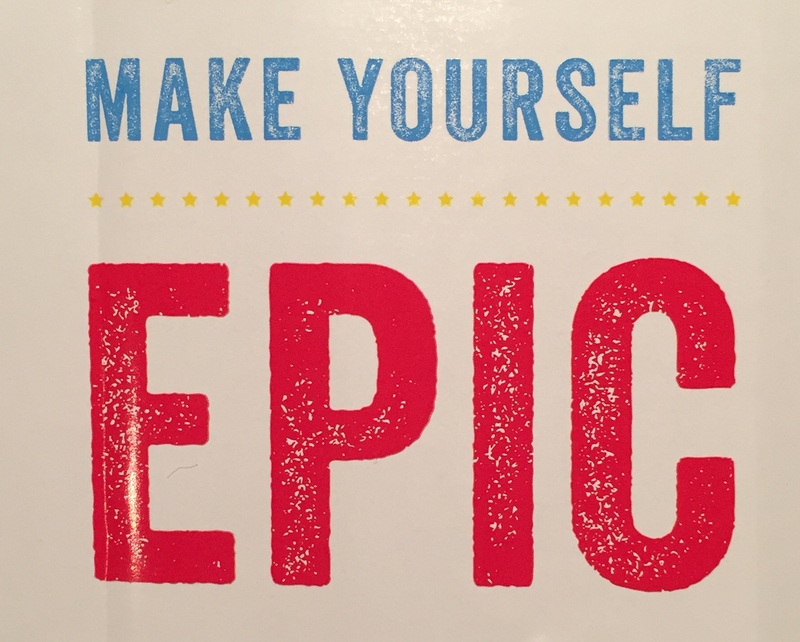 With inspirational quotes such as “Make yourself Epic”, “Strong Women Scare Weak Men”, this box has the wow factor and certainly did not disappoint. I absolutely adore the contents and the quality of the products this month, especially as this month debuts the first ever clothing item. Just when you think nothing could top the previous box, My Little Box surprise us all with another show stopping box. The magazine is bursting full of energetic interviews, reviews, beauty tips, a colourful and very chic photoshoot and of course descriptions of all the heroic female superheros. This month’s box show cases Gat Rimon, a French brand that’s notorious for their elegant and modern designs and made for the stylish daring females of the world. The clothing item in this month’s box is a grey marl T Shirt designed by Gat Rimon – £29. A one size T shirt, which is really a UK 10 (perfect for me!) with rolled up sleeves and a motivational quote on the front. 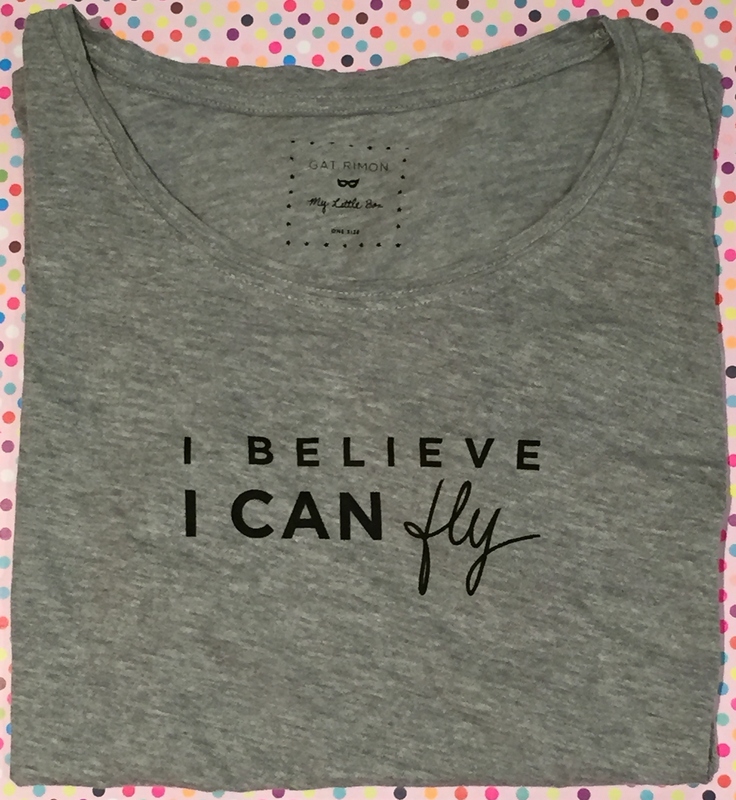 I was very happy to receive the one which states “I believe I CAN fly” however I have seen others which say “Somewhere over the rainbow” and “We can be heros, just for one day”. I love it and it will look awesome with my Happiness Boutique necklace, check out my blog review on it. I really can’t stop wearing it! As always, there are three beauty products, one of which being from the My Little Beauty range, which sadly is not available to purchase in the UK at the moment. They have very good quality innovative products within their range so I am always excited to see what they send next. This is a brilliant product! It is so easy to apply and rub into the cheek. It feels slightly moisturising and leaves the skin with a blushed fresh complexion. It can also be used as a lip stain. I received this peachy coral shade which will look even more gorgeous in the Summer months on tanned skin. This hero product is a lightweight rinse out conditioner that has a liquid light complex that will leave hair looking luminous, silky soft and supple. I rate this brand very highly and I think they can do no wrong. If you want salon fresh hair, then this is most definitely a brand that you should try. With the Lait Cristal range, if you have dark hair you will notice the shine in your hair from the first usage. This is Caudalie’s most popular selling hand and nail cream. Loaded with smoothing and softening ingredients such as grape seed oil, organic fair trade shea butter, avocado and olive oil, this cream melts into your skin nourishing and repairing your precious hands, nails and cuticles. The fragrance is not too over powering and is very fresh. Additionally, there are also some very cute super stickers – £4 which remind me of my childhood and just make me want to smile. All that is missing from this box is a magical cape, stretchy pants and some super powers. 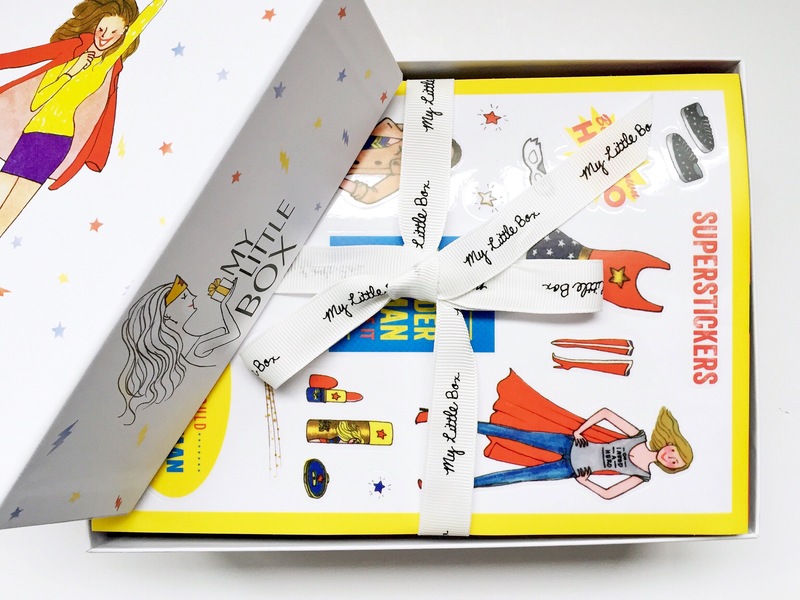 However this box is filled with confidence boosting products, you can make your own super powers! My Little Box never fails to disappoint and for me, this is the best box to date!